and the IOWA Forms A, C and E (Grades K-12) NEW! and TerraNova (CAT)- Forms A and C (Grades K-12)! A & C are parallel forms and both use the same 2005 norms. We also test at our office using the new Woodcock Johnson IV. NEW! Test prep materials help avoid surprises at test time! We have a wide selection to help the student and the parent prepare. 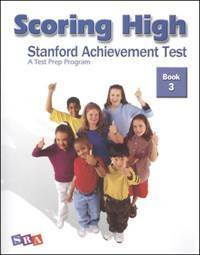 Check out our selection of nationally standardized achievement tests. We also have cognitive ability, IQ, auditory processing and ADHD assessments for grades K-12, plus preschool, adult, special needs, test prep materials. Call 336-699-3997 for group pricing for orders of 10 or more! Quick reliable service! We pay for priority mail shipping within the US! We proudly serve homeschool, missionaries & military families! We also offer up to 16% discounts for group orders. We provide year-round services so you choose the time of the year that meets your family's needs. We use computer scoring and reporting so you will receive your score reports 1 - 3 weeks after receipt. We have tests you can use at home and professional testing. All of our tests meet states requirements for nationally standardized testing. We use only the latest tests available to homeschoolers. Professional testing by Pat Brewer, M. Ed. in Curriculum and Instruction. Feedback provided with all professional testing. Curriculum recommendations, geared to your child, available upon request. Will travel to your location for group testing - Limited availability, so please book early! Online Payment for lost and damaged materials, additional postage, fees & other needs.